What if I told you that you were looking at a long lost Rush album? 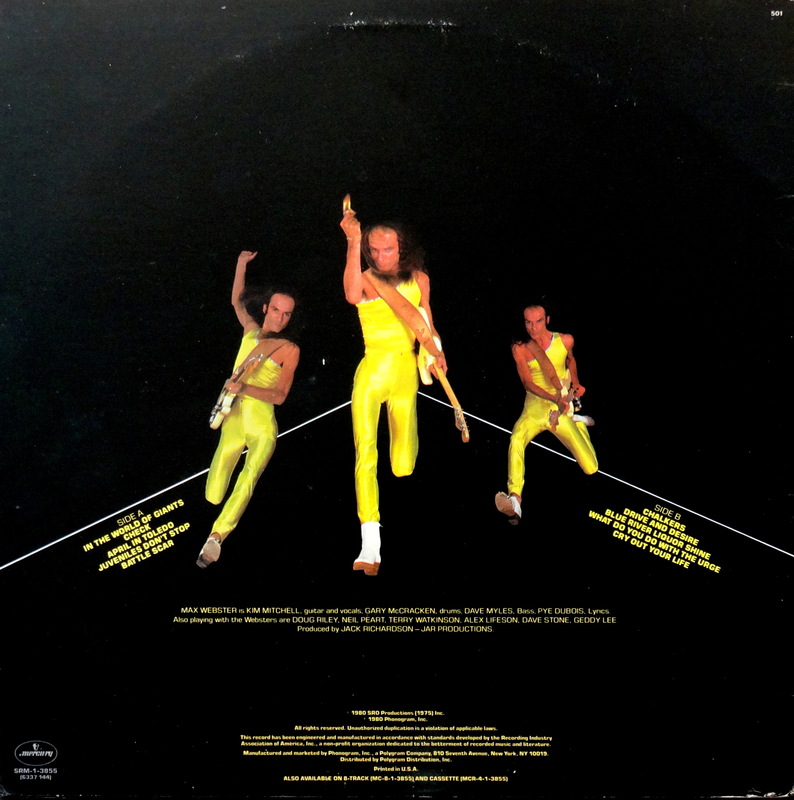 The banana on the album’s sleeve is Kim Mitchell, a great Canadian guitarist who had a couple of solo hits in the States after Max Webster broke up which, by the way, happened just after this 1980 album. The two bands crossed paths on the Canadian circuit quite a few times during their careers, so a Max Webster/Rush team-up was kind of a natch. Universal Juveniles is a solid album, full of late ’70s boogie-hard rock-prog. It’s still in print, too, so you can go to your favorite online megastore and download it or buy the CD. If you really want to complete that Rush vinyl collection, though, expect to pay around ten bucks American for an original album. 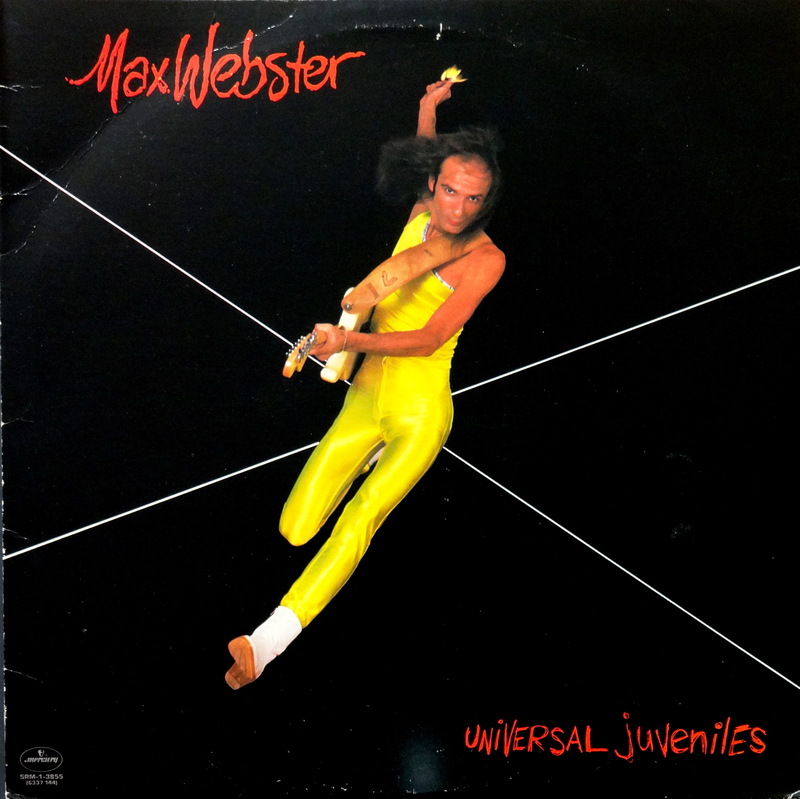 And before we wrap this up, please join me in welcoming Universal Juveniles to the Bad Album Cover Hall of Fame. LOL on the snark at presidential candidates (why bother capitalizing president anymore, I ask you) but OMG I have not had the pleasure of a BACHOF this freaking awesome in ages. After balancing my checkbook and sinking into a bit of despair, this pulled me right out of it. IF THAT guy can survive knowing this album still floats around, I can live with only three dollars and twenty nine cents in the bank. In fact, I am quite sure I would not even trade with him. “Today’s Tom Sawyer wears banana suits.